A festive and atmospheric concert to give the opportunity for all flute, violin and cello students to perform. 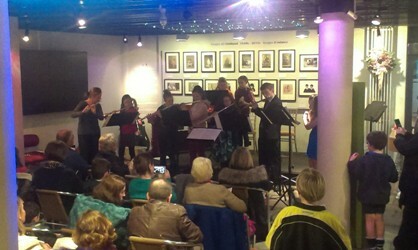 The Jersey Museum provided a festive feel to this event, which featured performances from Claire Boleat’s ‘Flute Choir’ alongside cello solos and ensembles, and solo performances from all instruments. Our thanks go to Jersey Heritage for hosting this event and providing the mulled wine and nibbles!